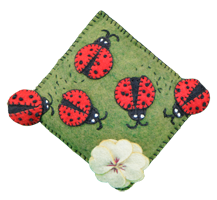 Little ladybugs march across this pillow pincushion, tripping over the sides and onto the back. Cluster them around the sweet-smelling ivory Minnesota field rose and keep your pins handy wherever you stitch. Excess stuffing is provided, allowing you to fill to desired poofiness. 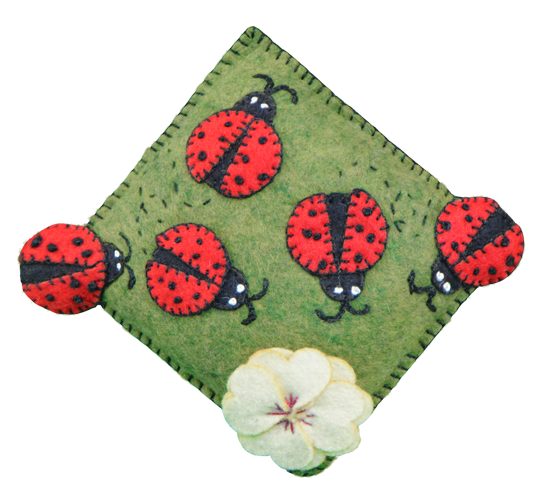 Each is approximately 5″×5″ and we have a special set of ladybugs on the back, just add that “Ah, that’s so cute!” effect.